Amber, the exotic scent of the Orient and one of the perfume world's most legendary ingredients, is combined with the comfort of French lavender and myrrh. This clean aromatic spice evokes the subtle, spicy warmth of twilight. 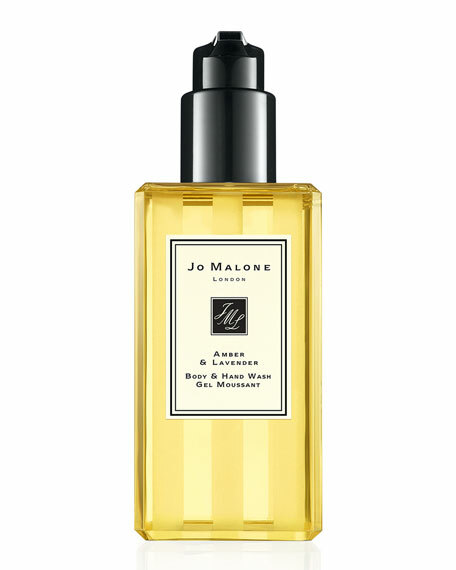 Jo Malone London Amber & Lavender Body & Hand Wash gets skin sparkling clean and leaves just a hint of fragrance. With a moisturizing lather, it awakens the senses. For in-store inquiries, use sku #1563918.